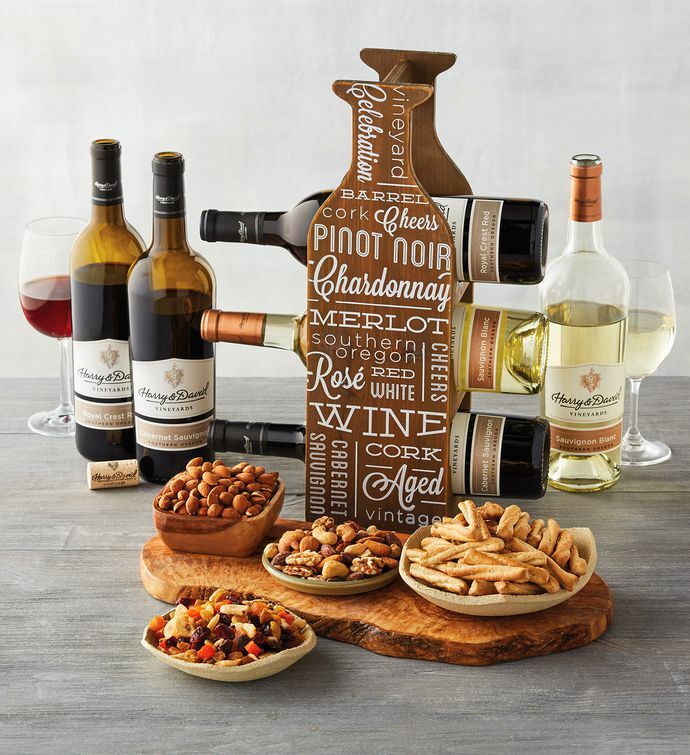 Make a toast with this exceptional gift of wines and snacks. Harry & David™ 2014 Royal Crest Red blend, 2015 Cabernet Sauvignon, and 2017 Sauvignon Blanc wines made in Oregon arrive with an elegant wine rack to keep them on display until they're ready to enjoy. We've also included an assortment of savory snacks to pair with your wines. This delightful wine gift is perfect for celebrating special occasions.